These are made from genuine Sable hair or synthetic hair Types: powder brushes- with long handles for easy use, gives an even covering of powder to seal make-up. Blusher brush-shaped for good blending of cheeks. Various contouring brushes- with tapered hairs for blending and contouring of the eye and various others- for blending, detail and creating a professional look. 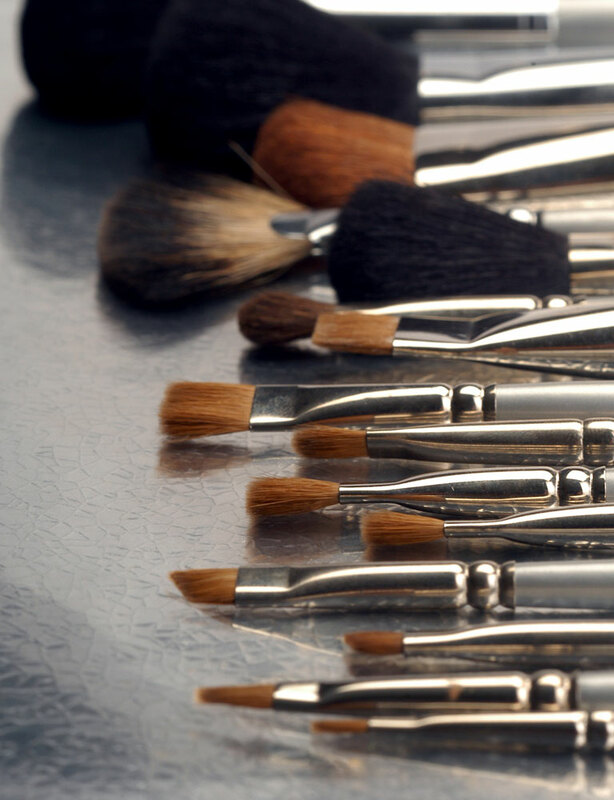 All Sable brushes will last a lifetime and make your make-up go further.